Ocelots are beautiful cats with short sleek fur greyish to tawny yellow in colour marked with black spots and rosettes. The Ocelot is a primarily solitary and nocturnal species. It is usual for Ocelots to spend a large part of their day resting in vegetation within forests. Hunting usually occurs at night. They feed on a variety of birds, reptiles, small mammals and larger prey such as armadillos, monkeys, agoutis, peccaries and deer. They are also good at swimming and often feed on fish. Females usually give birth to a single kitten, although litter size can reach up to 4 young. The kittens remain sheltered in a den for up to six weeks until they are able to travel with the mother, and reach maturity by the age of two years old. Ocelots occur from the southern United States to northern Argentina and can be found in a wide variety of forest habitats. In the past Ocelots have been heavily hunted for the international fur trade and pet trade. 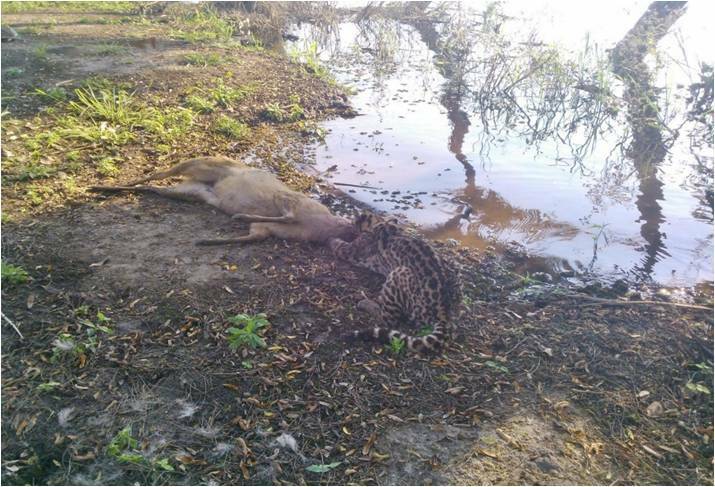 International trade in the Ocelot is now banned and the species is legally protected in most countries, but legislation is often poorly enforced and illegal trade persists. 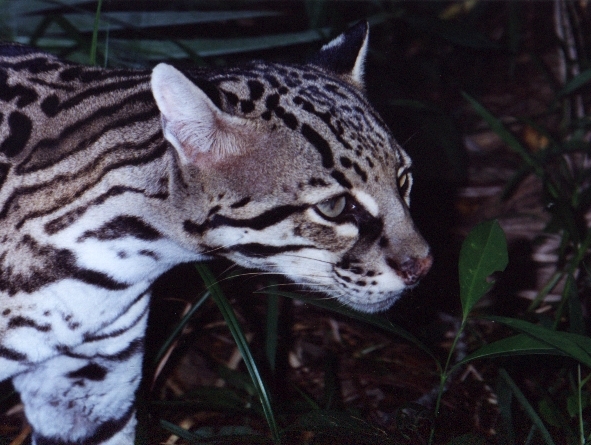 However, deforestation is the major threat to Ocelot populations.